Zoran the Painter.com.au Superior painting that can’t be beaten! Special Effects – Stucco, Sandstone and more! Both concrete stain and paint add beauty to concrete flooring. With concrete stain, the Commercial Painter Sydney stains over the concrete, enhancing it with different colours for a beautiful look. With paint, the painter uses the paint which is a decorative addition as well as a protective coating of the concrete. There are differences between the two. One of the most significant differences between stain and paint is that stain is much thinner than paint. A stain is less expensive than paint. When applying to the concrete, the stain tends to soak o to the concrete surface. Because the stain has no fixed colour uniformity, its range of colours tends to be less. The application is not complicated, and recoating is easy. Maintenance is also extremely easy. Concrete stain is durable and resistant to cracks. Paint is thicker than stain. The paint acts somewhat like a decorative surface as it tends to sit on the concrete surface. It also acts as a protective covering. Pain is more expensive then stain. 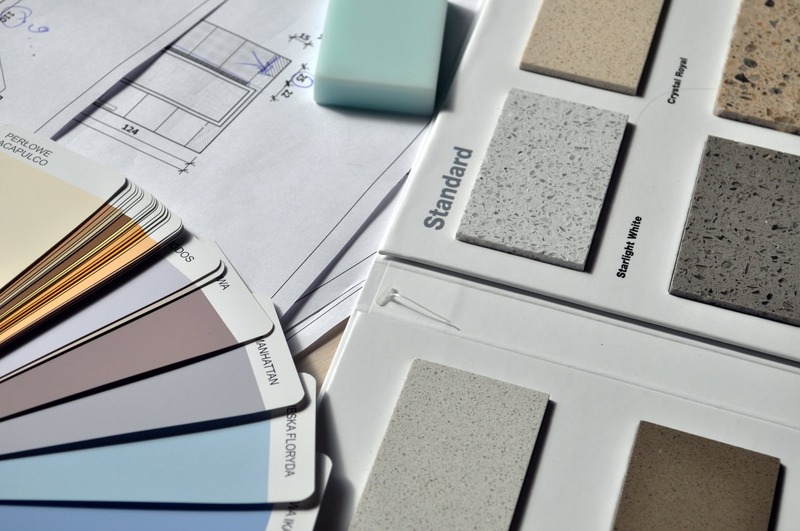 Paint offers a selection of varying hues and colours. Paint is not as easy as a stain when applying or recoating the concrete surface. The Commercial Painter Sydney must have a great deal of training to apply paint to a concrete surface. Concrete floor paint is used for application on concrete surfaces. Paint is not crack resistant and not as durable as a stain. Concrete floor paint adds intense colour to a concrete floor. With paint, property owners can paint the flooring themselves; however, a painter Sydney with the experience in commercial & residential Concrete Floor Painting will enhance the beauty of the paint with technique and application, making the two nearly incomparable. One thing that property owners must remember is that concrete paint does not last indefinitely, and overtime repainting will be necessary. Concrete staining is longer lasting than paint. Like paint the staining processes are tricky and a commercial painter Sydney is necessary for the best results. Of the two, a stain is lower maintenance and a lesser expensive route to go. Zoran Painter is a professional Sydney Commercial Painter. We offer high-quality painting with the experience necessary to enhance the beauty of a surface. For more information on our services, or to get a quote on your printing needs, please contact us at the number below. Zoranthepainter © 2018. All Rights Reserved.